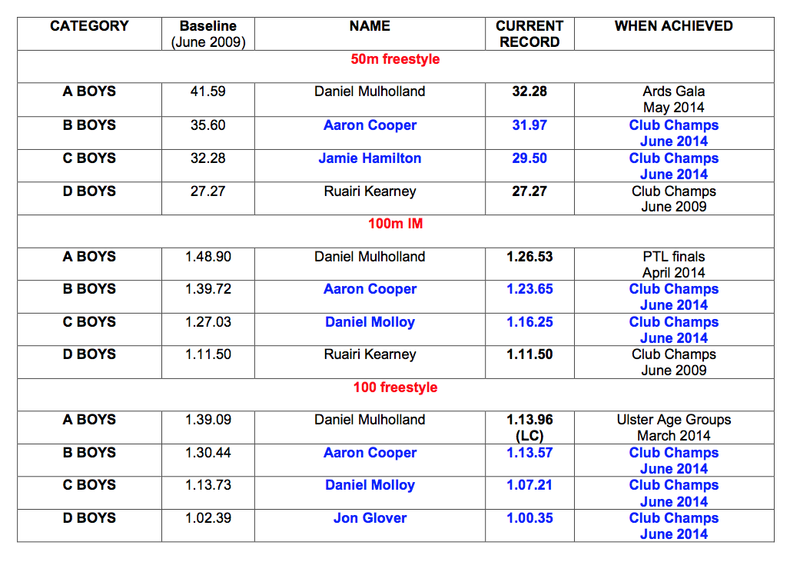 Given the success of the past few seasons we have looked back on data held to see a marked improvement over the past five years. 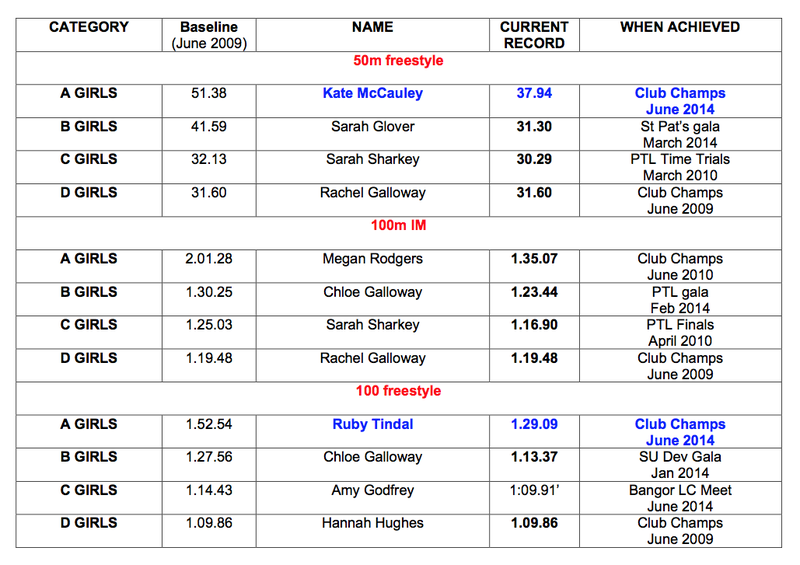 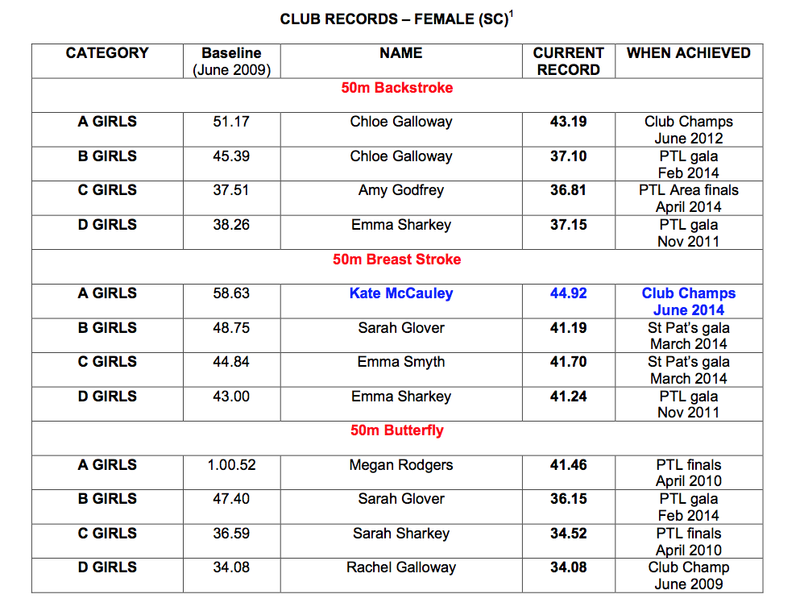 Below: Records as held on club archive at June 2014 against baseline of top times achieved in the 2009 Club Championships. 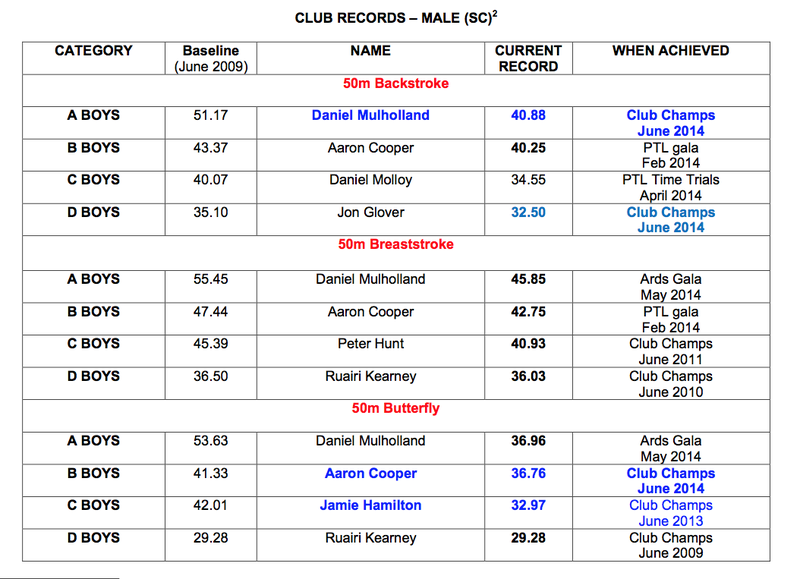 If you think you are a record holder and have not been acknowledged, please let us know.